I’ve had a few emails and questions about the best way to get the hostname of the local computer that you are currently logged into and felt that a quick (and I mean quick ) post here would be worthwhile. A more simple approach is making use of a legacy command, hostname.exe which will present you with the local machine’s computername. There are also environmental variables that you can make use of to get this information like COMPUTERNAME. That’s it! Like I said, this was short and sweet. Do you know an other ways to display the hostname of your local machine? Comment with them below! 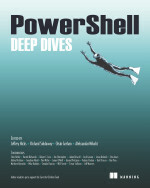 This entry was posted in powershell and tagged computername, hostname, Powershell, quickhits. Bookmark the permalink.